A few years ago, scientists at Merck & Co were looking for a better way to evaluate the activity of the RAS-MAPK pathway, which is particularly important for cancer development and can also signal susceptibility or resistance to emerging therapies. 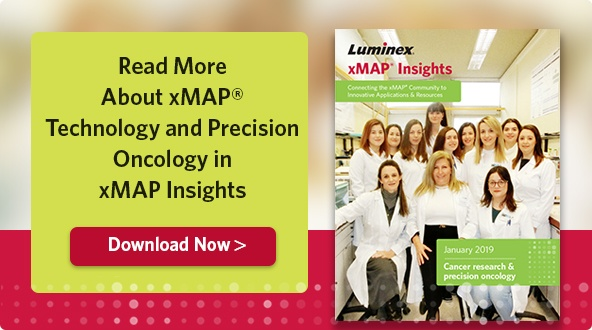 They used the Thermo Fisher QuantiGene™ Plex Gene Expression multiplex assay, based on xMAP® Technology, to develop a 26-gene signature to measure RAS activity. 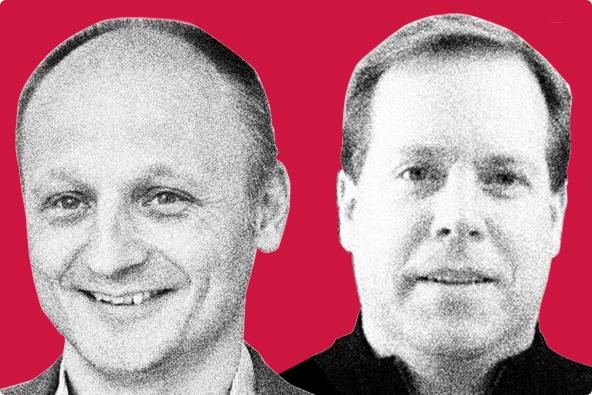 We caught up with two key members of that team, Bryan Severyn and Jannik N. Andersen, to learn more about how multiplexing changed the questions they could ask. Why did you develop this screening assay? Jannik N. Andersen: There is huge interest in drugging RAS, which is probably one of the most hypervalidated, bona fide oncogenes out there. Merck had an interest in finding new targets and new approaches to drugging RAS. There are two conceptual ways to do that: develop inhibitors of known MAPK-pathway targets (e.g., SHP2, RAS, MEK, ERK) or identify new mechanisms/compounds that reverse the transcriptional signature linked to RAS. We set up this assay so we could have a biomarker readout for RAS activity in cells and then screen a library of primarily clinical-stage compounds to see if we could reverse that activity. It was an innovative approach to use transcriptional readouts as your primary assay for screening compounds. Bryan Severyn: The bioinformatics group developed a large gene signature, which was validated in several hundred patient tumor samples and cell lines. It was really nice to be able to translate this information into a strong smaller sized multiplexed readout using the xMAP system. In doing that, we selected several of the most robust genes to create an up-signature and a down-signature. We screened a library of 725 ‘high-value’ compounds that included both known pathway inhibitors, as well as clinical stage compounds developed for other therapeutic areas, to see if the compounds reversed the RAS signature. Why did you choose QuantiGene for this assay? BS: It goes back to the fact that you can have multiplexed readouts — for transcriptional readouts you can theoretically have up to 80 genes when using the xMAP Technology. If you just had a single plex system reporting on the RAS pathway, you might not be able to get a strong assay window. With this signature of 26 genes, which reports movement across a broad range of transcriptional readouts, you can really generate a robust signal. This helps confirm that you have a robust assay as well as providing information on which compounds are significantly reversing the RAS pathway. Also with this approach, you can perform correlation statistics because you have the power of a multiplexed readout to compare to a control compound that is known to down regulate the RAS pathway. It is a very robust system, extremely reproducible from day to day and even from lab to lab. That gave us peace of mind that this was going to work really well. JNA: That’s an important point because we were a small group focused on finding rational drug combinations to advance the Merck AKT inhibitor (MK-2206). We had proof of concept that compounds could inhibit the RAS gene signature and be combined favorably with our AKT inhibitor, which resulted in potent anti-tumor activity. The transfer to Bryan and the high-throughput screening group was possible because QuantiGene is such a robust platform. BS: It was almost seamless. The workflow from Jannik’s lab to our lab was really straightforward and very quick. We were able to get the whole screen up and running in a very short amount of time, and the results were fantastic. Do you have any advice for people who are just getting started with QuantiGene? BS: The most important thing is doing the up-front legwork to identify really robust genes that are modulated by whatever compound or treatment you’re looking at. That will translate into a great QuantiGene assay. JK: The dynamic range of modulation is important for a successful screen. Otherwise, you have too many bystander genes that may not change much in response to pathway modulation. Want to learn more about their research?